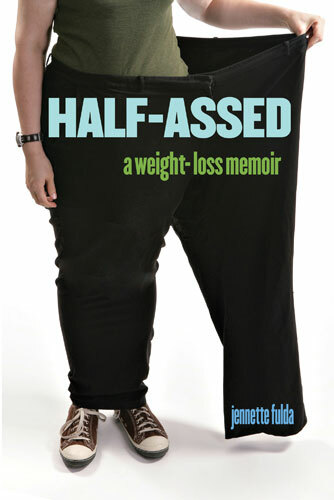 The Kindle edition of my first book, Half-Assed: A Weight-Loss Memoir, is on sale for only $2.99 at Amazon for the month of February. Now’s a great time to buy a copy if you never got around to it before or if you only recently got an e-reader or if you just like buying things on sale. Edited to add: BTW, this is part of the monthly Amazon 100 promotion in which Amazon discounts 100 ebooks to $3.99 or less. There’s a good variety of books there, so you might find another good deal! Earlier: Anyone know where I can get a cheap iPad? It’s now 5 years later. Have you maintained the weight loss? I’ve kept about half of it off. I’ve regained more than I’d like, but I’m still significantly lighter than I used to be, so the success/failure of it all depends on your perspective. Regardless of what my weight is or will be in the future, the book was always meant to be a memoir, not a how-to manual. As such, it will always stand as a snapshot of my memories of what it was like to gain a lot of weight and then lose it and how I felt about it all at that time in my life. Whatever experiences I have after the final page might shape the way I or my readers view those experiences, but they don’t lessen the truth of the story I had to tell at that time in my life. @Natalie – Sorry, if I could have a Kobo sale I’d do that too! I’d also do a Sony Reader sale and every other ebook sale. Alas, it’s out of my hands! Jennette, you lost almost 200 pounds and five years later, you’ve kept half of it off? WOW!! That’s impressive! Most people gain all of the weight back and more. Way to go, girl!! Jen, bought the book. Half way through it. I understand. I have probably gained and lost the equivalent three people in my lifetime, and I am trying once again to lose probably 100. Glad I bought your book. I found your book and now your websites. Love your sense of humor and your writings!! Thank you. When I saw you announced this on twitter I was so excited. I’ve now bought it so my falling apart hard copy can hang out on a bookshelf. I love your humor it really brightens my day. I read your Chocolate and Vicodin book to keep my mind busy when I lost my grandpa and your humor helped me keep my mind busy and smile. 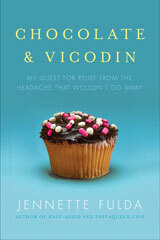 I was really worried that I was going think myself into a headache reading that book. Your book was on Pixel Ink today (Feb 12) !!! Well done! I hope you get a lot of respose and buys from it. You wrote a great book without any gimmicks. Just showing what the hard work it takes to change your body and life. @Sue b – Thanks for letting me know about the Pixel Ink site! @Jennette too – I’m glad someone else knows how to spell our name correctly 🙂 Congrats on 25 lbs. down! @Amy Goodrich – Thanks for buying a copy! I appreciate the support. I loved your book – just wanted to post on here to say that others should spend the $3 and get it!! You are wonderfully inspiring. @Liimu – Thanks! I’m glad you enjoyed the book, and thanks for buying a copy. I appreciate the support. You bet! Not only that, I forwarded the link to my sisters urging them to all buy copies! I’m embarrassed to say that I’m cheap and it took this sale for me to finally buy your book. It is awesome! There is so much to think about related to identity and self-image, etc, and I see you’ve covered it all so well — and it’s very funny at times. Thanks for sharing your story and your perspective. I’m in the process of losing weight now and it’s a crazy experience. @FreeRange Pamela – Thanks for buying a copy! I appreciate the support. I’m glad you enjoyed the book. Good luck with the weight loss! I bought this book during the sale and I have to tell you that I loved it! It was the most honest account of a weight loss journey that I’ve ever read. You captured things that I have felt but couldn’t express. Loved your writing style so much I ordered your next book right away! @Emmy – I’m glad you enjoyed the book! I hope you like the next one as well. And thanks for buying a copy. I appreciate the support. I got the book on kindle but alas I doesn’t get the sale price. Still it was a good read and I enjoyed it. I didn’t realize when I purchased the book that it sprang from your blog.I been writing one too to track my running. My reason for writing the blog offers more about keeping myself motivated than it is about anyone else actually reading it, but it is good to see that people might. Lol please forgive the weird word choices. *%+%& autocorrect. I remembered seeing you interviewed on a morning show a long while back… then came across the Kindle deal and bought your book. Loved it! Just finished it today. And seriously, I couldn’t put it down. Thank you for intelligent writing. It’s few and far between these days. @Michele – I’m glad you enjoyed it! Thanks for buying a copy. I appreciate the support. @Brandon – Thanks for buying the book even if it wasn’t on sale! I appreciate the support. Good luck with your blog! So glad I found your blog; I’ll have to check out your books. Just got my own iPad recently for my birthday and am looking for good books to put on my Kindle app. Too bad I couldn’t have gotten it a month earlier!